Alpha Medical Instruments, LLC. –Developer and Manufacturer of Balloon Flotation Catheters. Welcome to Alpha Medical Instruments, LLC. Alpha Medical Instruments, LLC. Cardiac Balloon Catheter Manufacturer. Alpha Medical Instruments is a manufacturer of Balloon flotation catheters which are intended for venous catherization of the right side of the heart for measurements of venous, right heart and pulmonary artery pressures, along with determination of cardiac output. Alpha Medical Instruments was formed in 1995. 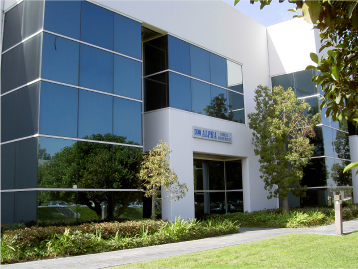 Alpha Medical Instruments is a Manufacturing Organization located in Mission Viejo, California, specializing in the manufacturing and assembly of cardiac balloon catheters, and DPX Introducer Sets. Wedge Pressure, Angiographic, Thermodilution, Multipolar Pacing Catheters (Bipolar and Hexapolar) and Introducer Sets. Alpha’s quality system meets the requirements of US FDA Quality System Regulation (QSR) and complies with ISO13485:2003 for the manufacturing of medical devices.